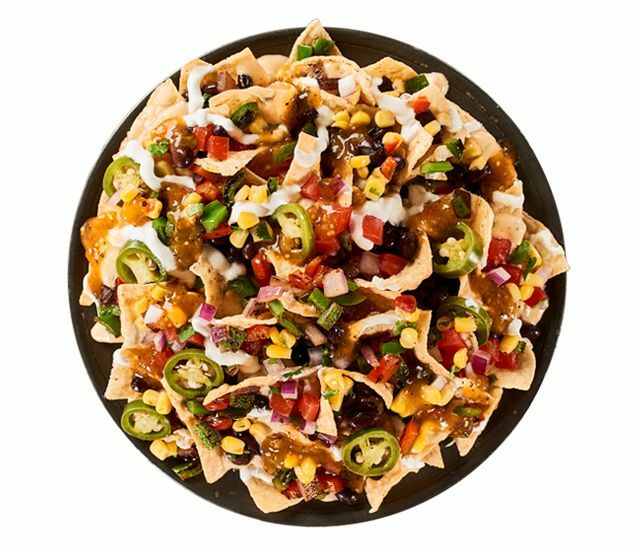 Qdoba's latest menu addition is new Primetime Nachos. To welcome the new face, Qdoba is offering a buy one, get one free entree deal when you give someone a high-five at the register when ordering on April 3, 2017 at participating locations. - Chicken Fajita - A plate of tortilla chips, grilled adobo chicken, diced fajita veggies, black beans, and pico de gallo, topped with 3-Cheese Queso, sour cream, and sliced jalapenos pickled in-house with a citrus marinade. 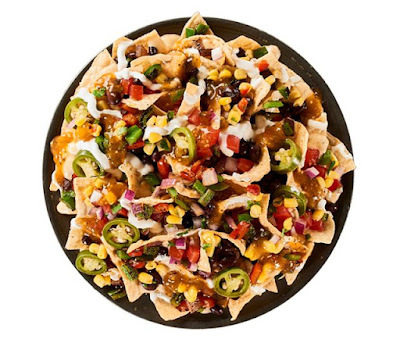 - Spicy Chicken - Tortilla chips, grilled adobo chicken, Sriracha sauce, black beans, and pico de gallo, smothered with 3-Cheese Queso and finished with sour cream and in-house pickled jalapenos. - Habanero BBQ Brisket - Tortilla chips, smoked brisket, ancho chile BBQ sauce, pinto beans, corn salsa, habanero salsa, 3-Cheese Queso, sour cream, and in-house pickled jalapenos.